A welcome return to the Got A Ukulele Reviews page for the Baton Rouge brand, this time with their 8 string 'sun series' tenor ukulele. The V2 T8. 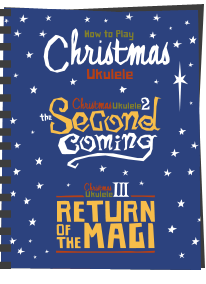 Time flies, but it was all the way back in 2014 when I looked at one of their Sun Series ukuleles for the first time in the form of the standard concert ukulele. It was given (rightly in my opinion) a great score for being extremely well built, sounding great, but being really cheap too. 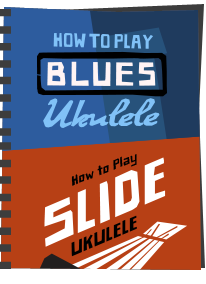 Following that uke review and ever since I have been asked regularly on how to source them as people were hearing good things about them all over. It's been a while, but was delighted to hear from Stones Music, their UK distributor, asking me to have a look at their new (ish) 8 string tenor version. Somewhat strangely, this is also the first 8 string to feature on Got A Ukulele. I guess there are not that many about.. So this one sits in the same ukulele family as their V2C, but is in tenor scale and comes with 8 strings in usual 8 string configuration. The 'V2' range sits somewhat halfway with Baton Rouge, above the V1 and their absolute entry level ukes, but not quite as fully furnished as their V4 series. It's a standard tenor scaled and double bout shaped instrument with a body made throughout from mahogany laminate. Like the concert model, this laminate is thin and seems to be good quality, so another tick in the box for a 'laminate that isn't just cheap plywood'. It's a very resonant sound box in fact. The wood laminates on this are a much darker colour to those on the concert which I rather like and once again there is no edge binding. The top is made from a couple of outer veneers on the laminate body, nicely book matched, and we also have two side pieces. It feels like a good solid tenor ukulele and the body depth is generous which will help with projection. It's hard to tell if the back is two pieces as the wood grain is not bookmatched on an angle like the top. No matter though, what really struck me about the back is that it is slightly arched (nothing unusual with that these days), but it actually has a shaped 'press' raised into it that follows the edge of the body. What I mean by that is that it isn't a simple curve top to bottom and side to side. It gives it a nice subtle touch that is a bit different. It actually reminds me of the curve on the backs of brass resonators. Hard to photograph I am afraid as it's subtle - but it is there! So as I say, no edge binding, and in fact no other decoration at all. However we do have the trademark sun etching around the sound hole that features on all 'sun' models. 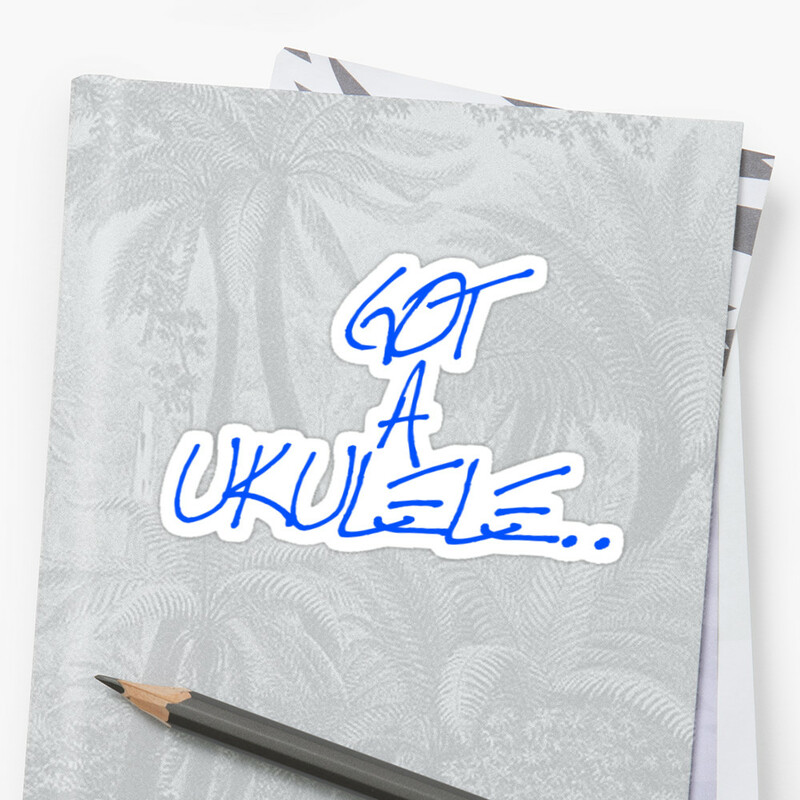 I like it, and as with the concert ukulele, I pointed out that this is neither 'over done' and deeply etched like the examples on Luna ukuleles, and nor is it there to bump the price up for no reason. It's subtle, and if anything with the darker body wood it actually stands out far less than on the concert. This may be down to this particular example, but I'd prefer it to be a little more noticeable. The whole body is finished in a satin coat that shows off the grain pores nicely and feels good to the touch. Its a handsome ukulele. We have a standard looking rosewood tie bar bridge with some white edging and this is fitted with an uncompensated NuBone saddle. Unremarkable, but certainly no complaints from me here. A look inside shows a tidy build with notched kerfing, and as per the concert version, the inside is spray painted black. I have still never seen another ukulele since the concert review that actually does that and I still don't understand why they do it. Oh well, it's doing no harm as a closer look with a torch shows it's a tidy build. On to the neck and this is also made of mahogany, albeit slightly paler than the body woods. It's made from three pieces with a joint at the heel and a hidden one at the headstock. The heel actually feels a little on the chunky side for my liking, but otherwise the overall profile is nice enough. It's a C shaped profile up to a nut that is 38mm wide. So nice and wide on the nut width, but do bear in mind there are an extra four strings to fit in there! For large hands like mine though, wider nuts are that bit more comfortable. Topping the neck is a rosewood fingerboard which is dark and even in colour. Like the concert version we have no outward fret markers, but it looks less bare on account of the extra strings. Thankfully we have markers for the player on the side at the 5th, 7th, 10th and 12th spaces. The frets are nickel silver and all are dressed very nicely. We have 18 of them in total with 14 to the body joint and the edges of the fingerboard are bound black to hide the ends. The fretboard edges themselves feel a little severe as they are not chamfered, but I really am nit-picking there trying to find something wrong with it! 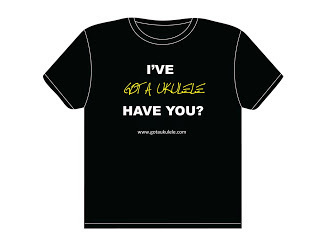 Honestly, it's the same as 99% of ukuleles out there! We have a NuBone nut which seems cut well and also seems easily removeable if you wanted to change things up. I much prefer to see that rather than nuts that are drowning in excess finish that will ruin the coating if you try to remove them. Why do they do that? Up to the headstock this is shaped like other Baton Rouge ukuleles (for that, read: Not Martin shaped!) and I like it. it's faced in the same darker mahogany as the body and has the logo delicately etched / pyrographed into the top with a simple 'BR'. Obviously, being an 8 string it's more elongated than a standard headstock and is also a slotted head design which I am always a sucker for. The slots are nicely carved, showing off the difference between the darker mahogany facing and the lighter neck wood on the elongated parts where the strings dip to the pegs. It looks great! Tuning is provided by unbranded, but very pretty side mounted, reverse facing open geared tuners. They are decorated, coloured with a gilt finish and have small white pearloid buttons. Altogether they look really classy and thankfully they turn well too with the right amount of resistance. I say thankfully as you have twice as much tuning to do with an 8 string!! Talking of those strings, they are Aquila brand and as I say, in a standard 8 string tuning configuration. That is to say we have a high and low octave G string and C string and the E and A strings are in unison pairs. 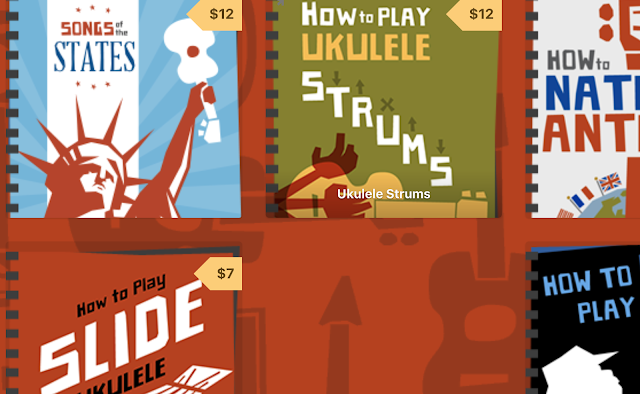 If you are new to 8 string ukuleles, you may be forgiven for thinking that you get 8 individual notes. That's not the case and the strings are paired up rather like a mandolin into 4 distinct courses that are desinged to be played in pairs. The low G on this one is metal wound which I never really like, but with an 8 string and the lack of space to fit them in I assume a fat unwound G string just wouldn't go in the space. Of course, there are other ways of tuning the pairs, but I am happy with this method. And for all of that you are looking at an RRP of about £139, although I have seen them a touch cheaper on reputable ukulele dealers sites like Southern Ukulele Store. That's a heck of a price for any good ukulele in my book, but for an 8 string that is one of the most keenly priced you will find. So does that make it cheap and cheerful or cheap and nasty? First up the build quality, as I allude to above, is really very good. It's pleased me in the way that the concert model did, and it's clearly well put together with no issues I can see whatsoever. Solidly made but not overly done and no flaws in either the finish or construction anywhere. It's also fairly light despite all that extra hardware on the headstock and the deep body, and also nicely balanced to hold. The setup on this review sample was absolutely spot on. I really, really mean that. Nice low saddle height, and absolutely perfect nut height with no buzzing whatsoever. I should point out that with four extra strings and the tendency for the ear to spot intonation issues on doubled unison strings in particular, having an accurate setup is even more important than with a four string. I'll re-phrase that, accurate setup is ALWAYS important on any ukulele, but you would tend to notice an anomaly far more on an 8 string. Thankfully there are no issues here at all, at least not to my ears. And that setup means it's really nice to play and easy on the fingers. 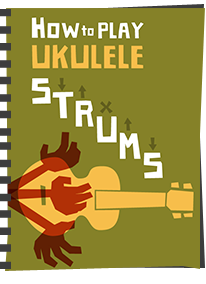 Some people struggle with 8 string ukuleles as they find they are harder to fret or that the fingers are more easily tangled on the strumming side of things. There is no tangling here, and whilst there will (naturally) be a different feel on the fretting fingers, it's really not very noticeable. In fact, aside from the sound, you would think you were playing a regular ukulele. And as for the sound itself, well, for a £130 ukulele it surprised and pleased me in the same way that the concert version did. In fact it has you checking the price tag to make sure you read it correctly. It has great volume and projection whether you strum or pick it, and you actually don't need masses of effort to get it to project either. I usually say at this point with cheaper laminates that the tone is 'not as complex as higher end instruments' and of course it isn't here. However, this one is giving you more range because of the extra strings and has something about it that is decent in it's own right. And because of that this really shimmers and sings. It's rich and bright when you want it to be but equally a change in your picking angle and attack can easily bring out the bass more if you need it (or both together). It's incredibly pleasing and for what is virtually no money for an 8 string ukulele. Enormously satisfying to strum with in fact. For me, the tone from these Baton Rouge ukuleles has a quality to it that far exceeds most of the competiton at the price point and in fact compares well to instruments that cost significantly more. Like the concert, this is one of those rare ukuleles I come across that makes me look at one or two others in my collection and wonder why I spent so much on some of them..
Now, naturally, as their are far fewer 8 string ukuleles around, it's impossible for me to have had anything like the same experience with them over the years. As such, I can't compare this to hundreds of other examples as there simply aren't hundreds of others about. I have played quite a range of them though, and can honestly say that this one stands up extremely well to certain 8 stringers from well known brands that cost considerably more. Sure it's no Kamaka, but.... well you will know what I am referring to. In fact I once had some time with one other 8 string that cost more than twice the price of this and found I really didn't like the sound and the intonation was woeful. This is far from that. I thoroughly enjoyed testing this model and I would very happily own, play and enjoy this one. Heck, throw a pickup in it and take it on stage! Another recommendation from me for Baton Rouge and another laminate ukulele that shows how it should and can be done. If you are wanting a decent laminate and don't have a huge budget, seriously, don't throw your money at some others just because they are all over Amazon or have an obvious brand name.. you should be checking these out. 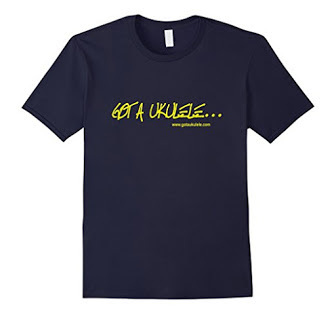 Available at good ukulele specialists now. Very few at this price..
More contrast to the rosette? Add in outward fret markers? Do they do Lefthanders ? Hi Baz, just to say I have a Kala 8 string and changed the Aquila's for a set of Living Waters with an unwound low G and there's no problem at all with this being 'fatter' than a wound string. Like you I do not like a wound string and the Living Waters make the Uke really sweet. I'm a big fan of LW strings. Thanks for a very fair review, Barry. As this particular instrument is close to my heart (I was very pleased about your complimentary remarks about the setup!) I was keen to hear your views. Anyway, just a couple of points that may be helpful. The black interior - I've always liked this and assumed that it was sprayed. However, as a result of an over enthusiastic Hermes driver, I had a return recently with a hole smashed in the back, which revealed that the interior laminate is actually black veneer, not painted. A small detail but I was pleasantly surprised at that. Phil asked about left-handed availability - I have set up a couple of these for left hand. It's easier to do before supplying the store as the nut slots have enough meat in them to convert the thinnest high C to an A and vice versa. Expect to pay a surcharge for this, as it takes a good 30 minutes to do. Thanks Mark - and very interesting re: the black veneer - as I say - it doesn't affect the tone one way or the other, so all good. I was going for the Ohana Concert Pineapple but you have just sold this to me! Thanks for yet another great review! I've just taken delivery of my BR 8-string. I've replaced the strings with Ken Middleton's Living Water fluorocarbons. Oh boy, the sound is sensational! Absolutely love this instrument. I was looking at buying the Kala KA 8E which has a factory-fitted active pick up - I know your opinion of those! - and retails for about £280. I play plugged so a pick up is a necessity. I have pre amp and EQ pedals so would consider buying the Baton Rouge and getting a decent passive pick up - or the Misi (?) active fitted. In your opinion would this give me a better instrument for about the same outlay?